To those of you who expect a blog on a weekly basis I apologize that this is a bit tardy. We have been extremely busy. We’ve had a lot of visits from the States and our nights have not been as free as they usually are. The experience of returning home for vacation and coming back has convinced Laura and me that Honduras has certainly become our home. There is a new feeling of settling in, getting to know our neighbors, and becoming more intentional and proactive with our work at Montaña de Luz. That feeling of belonging is so critical to our human experience. Still, being here presents us with unique challenges as we are confronted with the culture and different routines of managing social interactions. As of late, one of the major cultural differences that leaves us scratching our heads is the sense of personal space, privacy and security. Houses here are always huddled close together. 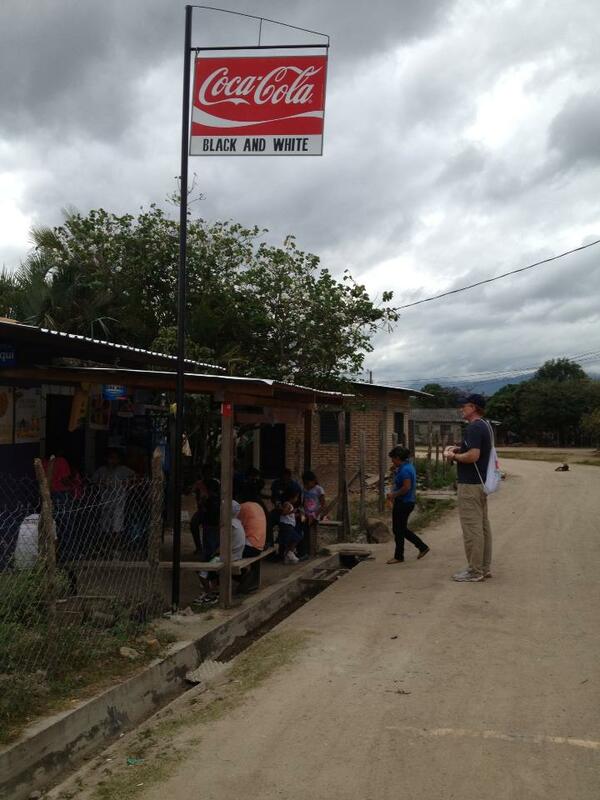 Even here in Nueva Esperanza where about two hundred families live, the actual town comprises only about a square mile. There is ample space, fields and wilderness all around us, but still we all dwell within feet of our neighbors. Even as you drive along the highway you notice this: little conclaves of houses built literally on top of one another with vast open space surrounding them. The rich, while residing in gated communities with intense security, do the same. Ironically, everyone either walls off or fences in their property, seemingly betraying this almost obsessive need for closeness. Our house, though we didn’t build it, is also walled. Perhaps this developed from the mountainous topography, nature’s threats, and a history of warring. In the US we certainly do not have a sense of tribal loyalty, but here it seems local allegiances are primary. There have been a couple of incidents recently where this cultural understanding of personal boundaries has collided with our personal sensitivities. Two weeks ago, Laura and I took our new eighteen-year-old volunteer into Tegucigalpa for her first experience there. As is our custom, we went to a movie at one of the cinemas at a large mall. Being a weekday matinee there are never more than a handful of people there. We were the first in the massive theater. After a few minutes a couple arrived. They sat down in the same row four or five seats away. We then joked as another single man entered the theater. He sat on the other side of us, again four or five seats away. This seems odd doesn’t it? But might it not have just been an anomaly, a one-time occurrence? We had thought the same, except that the exact same thing happened yesterday when Laura and I went to another matinee. Last week three women decided to congregate just on the other side of our wall in front of our house. They knew we were here, they were extremely vociferous and animated, yet it never seemed to occur to them that they could be bothering us or that we would overhear their conversations. On the public buses, persons getting on generally sit in the first available seat. If the bench seat has one person in it, but there are still unoccupied seats, the single person getting on the bus will opt to sit next to the other single person rather than sitting in an unoccupied seat. Such that if the bus is half full, the front half will be loaded with people while the back half remains unpopulated. I could go on, but I’m sure you get the idea of how our cultural appreciation of space, intimacy, and security are all challenged. I think these cultural realities also extend to social exchanges as well. The flaring irony of houses built upon one another and yet walled in presents something of a paradigm on how social interactions are constructed. Laura and I have now been to the immigration offices three times to try to obtain our residency cards that were approved early in December. We have built a very close relationship with one of the workers there, Doña Patti. The relationship we’ve developed with Doña Patti goes far beyond the professional, now personal bordering on intimate. Still, this has not helped us to obtain our residency cards. We were told yesterday that the young man who makes the residency cards is only up to the ones that were approved in early November. It’s a small office, but Honduras is a small country, and I can’t imagine that the young man is so overwhelmed with his work laminating ID cards that he should be three months behind. The layers of bureaucracy and inefficiency represent the walls of the houses, but the oddities of close relationships are those women holding their meeting just beyond the wall. One of our older kids is registering for weekend high school so that he can work during the week. The first day we went with him to register, the registration had closed in the morning. Still, we went directly to the professor’s house. He wasn’t home, but we met his wife who told us when to come back; she also gave us his cell phone number. We went back a week later and registration was open. We met the professor who was very kind and cordial when he told us we needed five or six more signatures and an approval from the Director of Education in our Departamento. Registration was to close on this same day, but the accommodating professor gave us his telephone number and said we could get all the necessary documentation to him personally on Tuesday. We ran all over the place on Tuesday morning, fulfilled the endless bureaucratic requirements, only to call the genial professor who told us he was in a meeting and would not be available until Wednesday. On Wednesday, Laura and I caught the bus to Tegucigalpa. The young man was on the same bus with his school paperwork for registration. Sometime later today, we’ll find out whether he has been registered or not. I’m not holding my breath. It all seems so comical, and if not comical, then sad: these strange machinations of cultural ordering that limit and prejudice efficiency and success. On the one hand, so marvelous this drive to be close to others; this nesting impulse. On the other hand, so frustrating the insecurity that inhibits that same drive for meaningful relationship, building walls and fences. Still, I should know that I am judging this culture only through the lens of my own. You, my reader, readily relate to the absurdities I present in my descriptions of Honduran culture only because we share a culture defined by other absurdities to which we are blind. Would not a Honduran be perplexed by how distant we are one from another? Would we not search out the seat on the bus or in the movie theater furthest away from any potential contact? And are not our laws of social ordering designed to force us into greater contact that we might otherwise avoid? Just a thought. The differences in our culture, however, do suggest that we both have a lot to learn from one another. If nothing else comes of our adventure here in Honduras, both Laura and I will be stretched to recognize the mystery and sacredness of our humanity; our learning to be, and to be one with another.